According to a new report North America Retail Automation Market, published by KBV research, the North America Retail Automation Market size would witness market growth of 10.2% CAGR during the forecast period (2017-2023). The US market holds the largest market share in North America Retail Automation Point of Sales Market by Country 2016, and would continue to be a dominant market till 2023; growing at a CAGR of 9.7 % during the forecast period. 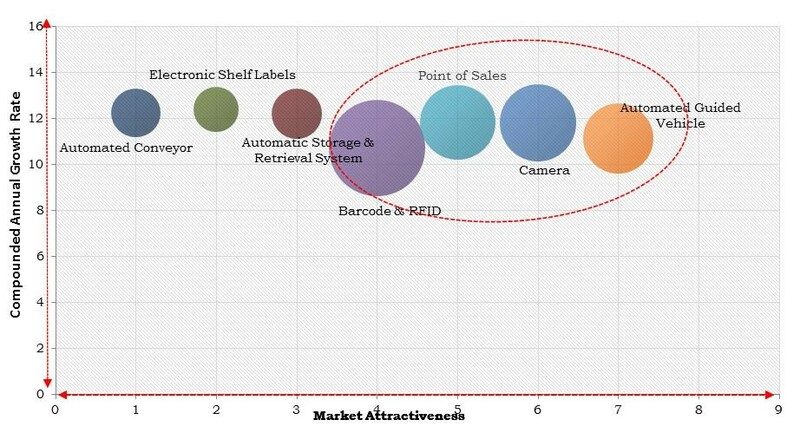 The Canada market is expected to witness a CAGR of 13.0% during (2017-2023) in Retail Automation Camera Market. Additionally, The Mexico market is expected to witness a CAGR of 12% during (2017-2023). The Supermarkets & Hypermarkets market holds the largest market share in the North America Retail Automation Market by End User 2016, and would continue to be a dominant market till 2023. The Other Stores market is expected to witness a CAGR of 15.1% during (2017 - 2023). The Warehouse market holds the largest market share in Mexico Retail Automation Market by Implementation 2016, and would continue to be a dominant market till 2023; growing at a CAGR of 10 % during the forecast period. The Store market is expected to witness CAGR of 14.9% during (2017-2023). The market research report has exhaustive quantitative insights providing a clear picture of the market potential in various segments across the countries in the region. The key impacting factors of the North America Retail Automation Market have been discussed in the report with competition analysis and the elaborated company profiles of Hydra SpA (Datalogic S.P.A.), First Data Corporation, NCR Corporation, Fujitsu Limited, Toshiba Corporation, Honeywell International, Inc. (Honeywell Scanning and Mobility), Kuka AG, Diebold Nixdorf, Zebra Technologies Corporation, and E&K Automation GmbH.